After Victor Ad's viral song, 'Wetin We Gain', I decided to go check more about him and saw that he also had another hit song, 'Motivation', with Nigerian rapper, Erigga. Erhiga Agarivbie, who is better known by his stage name, Erigga is one of the Southern Nigerian's fastest rising stars and has won a lot of awards and nominations with his musical prowess. Very fluent rapper, he prefers to pass his messages across in pidgin English, maybe because of his origin, Warri, Delta State, Nigeria who are mainly associated with pidgin English. Erhiga Agarivbie was born in Warri, Delta State, Nigeria. He is a unique cat in the music industry, and his music is widely accepted by the Nigerian 'street' as the case may be. 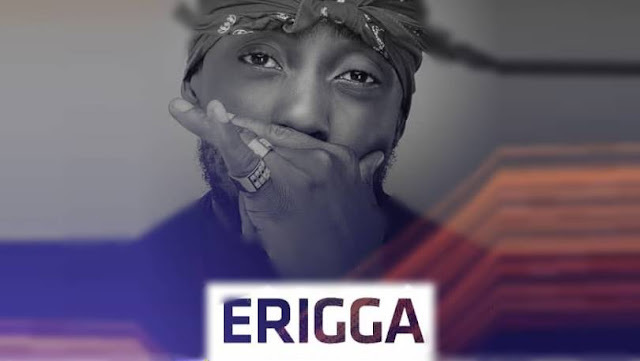 His stage name, Erigga is a kind of vocalization of his first name, Erhiga and he was brought up with pure pidgin English in Warri, which may explain why his musical prowess all revolve around the tongue. 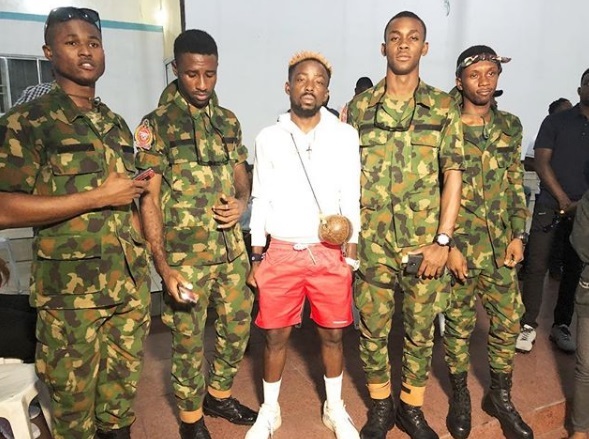 He allegedly used the phrase, "Based On Logistics" before it was adopted by Big Brother Naija 2017 Winner, Efe (Ejeba Efe Michael) who also hails from Warri, Nigeria but was brought up in Jos. From sources, Erigga was born in the year, 1989 and had his early education in Warri. He began rap music at a very early age in life and that was after he discovered his talent. Before becoming an artist, Erigga has wanted to become a professional basketballer. He was very prolific in sports from onset, and people thought he would do perfectly in that. He was doing very well in the sports field from his youthful age and even featured in one of the Milo Basketball Championship schools. Somehow along the line, he decided that there was a better way for him in music and switched interests into pursuing that. He started pursuing music with some songs such as “Paper Boi”, “Air Burn” and “Death Bed” and they were all hit singles. He started recording songs in the studio, in his early 20s and was inspired by legendary rappers such as Eminem, Jay Z, 50 cent, Nas, Rakim, Ja rule and Canibus. Erigga's style of rap is unique, and his songs are mostly raw which make them unsuitable for underage fans, audience and other listeners. As we have said earlier, he raps in pidgin English, which is a West African patois.His words are very professional and he is an expert in painting his lyrical images to his audience. Most of his fans claim he is YungSix immediate competitor, though I will leave you to judge that. 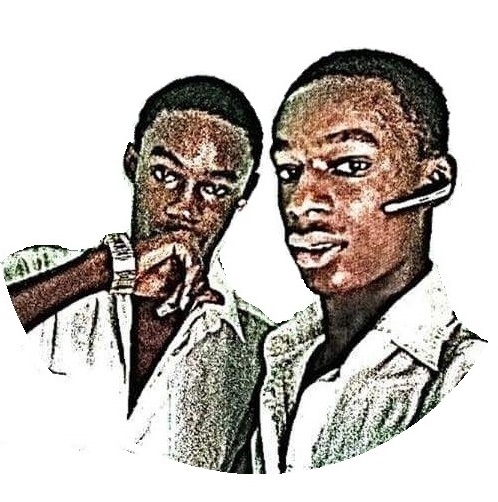 They both come from the South but for a decent English rap lover like me, I'd rather go for the likes of YungSix and Nasty C. Erigga is popularly aliased, 'King of the South' and his music pattern is widely accepted. Erhiga Agarivbie has a very out-spoken personality and that can be seen in his Sam Smith's “Stay With Me” cover where he openly criticized the radio On Air Personalities who were generally known to collect bribes from upcoming artists before airing their music. His music pattern are always raw and deemed unfit for the underage listeners and he is a vicious battle rapper who has won over 30 rap battles in South-South, Nigeria alone. Aside being successful in the music industry, Erigga has also suffered some misfortunes. Erigga once served fours in year jail for misdemeanor charges. He is a rough Warri boy and has allegedly been involved in things like armed robbery and petty burglary. His dress codes and some way of life have also suggested that he is a member of the popular Black Axe Confraternity. He became a hotspot in the music industry after releasing his video for the song, 'Dem No Get Two Heads'. The video was shot and handled by Igho Tosin of the Igho films. However, the video was deemed unsuitable and really went a long way to affecting Erigga's musical career. It wasn't streamed so well on the TV and radio channels and cost Erigga a lot of awards, endorsements and nominations. His other music are mostly censored and the artist really seems not to give a f**k about that, and keeps soaring higher with much love from his fans. Erigga is presently signed to the New Money Records, which is run by Snow man, a veteran artiste manager. His success can be better defined as self-made. Judging from Erigga's awards, views, assets, endorsements and other things, he would be rated close to $150,000. He recently launched a new house and has been seen with a lot of cars on social media, which means he is also a financial big head. You can keep checking back for Erigga's latest songs. See Next: Dice Ailes biography, net worth, family and everything you need to know about him. What more do you want to know about your favorite rapper Erigga? Don't forget to share and email any necessary corrections to this biography to us via contact@infoguideafrica.com.